We're going to call a halt to this blog for today. We'll be back with a new one from early tomorrow morning. Have a good night. Bye! Police have revealed that they breathalysed more than 2,200 motorists over the festive period. The campaign was launched at the end of November and was targeted at cracking down on drink driving. For more information click here. Young people can meet training providers from the Prince's Trust, RWP Training Limited and Training 2000 at an open day today. The session will be held from 1pm until 5pm at the Lowther Street headquarters of Advice Services in Carlisle. More foster families are needed across the county to help meet the need for at least 1,200 new foster homes across the north west. Cumbria County Council, which supports more than 200 fostering households, says that carers are needed to replace the 14 per cent who retired last year. Councillor Anne Burns said: "With a wider pool of foster carers we can find the right foster home for each child, first time." Reports suggest that Carlisle United could receive a sell-on bonus if former player Paddy Madden is sold to Scunthorpe United. Currently Madden plays for Yeovil Town but the Western Gazette are reporting that the clubs have agreed a £300,000 deal for last season's League One top scorer. The Boomtown Rats, fronted by singer Bob Geldof, will headline a concert in Cumbria. The band will play at Whitehaven Live at the Cumbria Sports Academy, Hensingham, on Saturday, July 5. Police are becoming increasingly concerned about missing man Allan Atkinson. 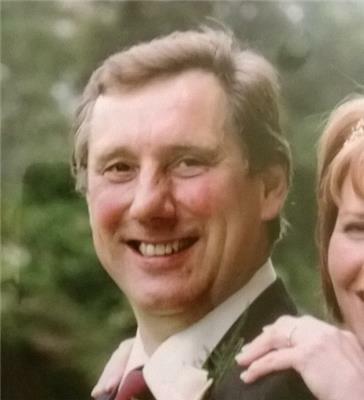 Mr Atkinson was last seen in the Cumwhinton Road area of Carlisle at 1pm on Tuesday. He is described as being 5ft 10in tall with short, light, brown hair, of a medium build, and with a ruddy complexion. When he was last seen he was wearing blue jeans and a grey hooded jacket. Anyone with information is asked to contact police on 101. A fatal fire in Carlisle last year will be the subject of an episode of BBC programme Fake Britain. The show will feature a special investigation presented by Matt Allwright and highlights the dangers of non-resistant furniture. The episode will air on BBC One at 8.30pm on Monday. Cumbria Trading Standards is holding an advice surgery today at Carlisle library, Globe Lane, from 10am to 4pm. Free advice on scams and other consumer issues. Were you one of those left in the dark in Workington last night? If you were, you weren't alone. One thousand properties were without electricity in the Annie Pit/Moss Bay area from about 9.15pm to 10.40pm. It was caused by an underground fault, says Electricity Northwest. And it's a quiet start on the roads. No incidents or problems being reported - anywhere - so far.